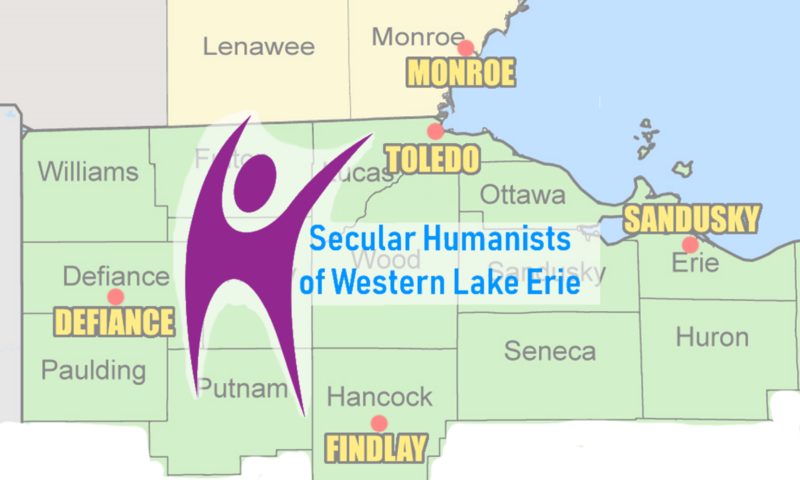 Secular of Humanists of Western Lake Erie (SHoWLE) will post any press it gets on this page. If you are a member of the media or are looking to arrange a speaker, visit our Speaker and Media Inquiries page. Doug’s letter was edited for space. He has written a blog post that contains the entire text of the letter he submitted. SHoWLE’s Humanist Nooner was featured in the Toledo City Paper on November 21st. Doug appeared on camera on WTOL and was quoted in several additional news stories about the saving of St. Anthony Catholic Church on Nebraska Ave.
Doug and Shawn were profiled in a big article in the Toledo Blade religion section. They talked about forming SHoWLE and the need for secular voices in Toledo, Northwest Ohio, and Southeast Michigan.